This review originally appeared on Technology and Society Book Reviews. I am an introvert. I prefer my own company to that of others, though over the years I have found ways to manage social interactions with something approaching grace. In her new book Quiet, author Susan Cain describes my experiences with unerring accuracy. Cain graduated from Harvard Law School and practiced corporate law for seven years. Early in the book, she described the fear she felt giving presentations, negotiating with her clients’ creditors when times were tough, and teaching negotiation techniques after she left the legal field. For an introvert, interacting with new people in a one-on-one or small group setting can be difficult. When you put the same individual in front of a large group or any group when new business or the well-being of your client is on the line, the pressure can become unbearable. The pressure introverts feel is brought into sharper focus by what Cain calls the “extrovert ideal” prevalent in America. She starts by describing a Tony Robbins seminar she attended, where Tony’s seemingly boundless energy let him maintain his momentum throughout a 10-hour seminar with minimal breaks. Tony seemed to draw his energy from the audience, but introverts are exhausted by social interaction. The author describes one popular and dynamic speaker who is a profound introvert and must withdraw to his hotel room after he speaks to recharge. She also visited Harvard Business School, which might be characterized as Extrovert Central. Participation in classroom discussions contributes a significant amount to students grades, so it pays great dividends to speak up and make useful comments in class. Introverts, surrounded by Type A extroverts, often struggle in this environment. Cain also analyzes the new emphasis on teamwork and consensus that permeates business and education as far down as the elementary school level. She refers to this emphasis on teamwork as the New Groupthink and declares that it “has the potential to stifle productivity work and to deprive schoolchildren of the skills they’ll need to achieve excellence in an increasingly competitive world.” She supports her argument by citing several studies performed by psychologist Anders Ericsson. His research found that the key to success in many fields depends on practicing in solitude. When you’re alone, you can engage in deliberate practice without interruption or distraction. Solitude also lets you concentrate on the elements of a skill that are bothering you the most. Mohammed Ali referred to this type of work as “the lonely work”— the work you have to do to be special is the work that no one else ever sees. Cain provides a number of useful strategies and tactics for introverts and for organizations who hire substantial numbers of introverts to follow so they can succeed. In the computer realm, which draws introverts in huge numbers, teams can begin their collaboration virtually. Introverts perform better when given time to think on their own and without the expectation of immediate response. Also, because typing comes to them much more readily than speaking, introverts are more likely to share their ideas via a chat room or discussion forum. After your team of introverts generates their ideas, you can summarize what they’ve written and use it as the basis for a relatively brief in-person meeting to discuss the available options. I found Quiet to be an exceptional book that speaks directly to my personal experiences. 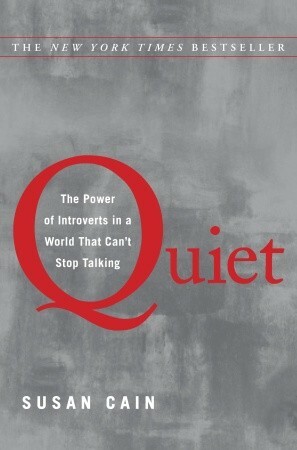 I highly recommend it to anyone who is an introvert or who lives or works with one. Much of what might mystify you about our approach to the world will become clear. One of the best-known yet still strangely prevalent misconceptions about comedians is that we’re all extroverts, energized by more or less showing off in front of an audience. Many of us are, but many others are introverts searching for connections from the safety of the stage. Wait…the safety of the stage? Performing for a crowd is somehow less intimidating and awkward than going to a party? For many people, myself included, it’s true. A show, even a solo act, is a team effort. You have the house staff, the technical crew, and perhaps other performers on your side of the curtain to share the experience with. You are a team of individuals with a stake in making the show successful. Even though they’re not in front of the audience, the crew and house staff benefit from good shows. No one wants audience members to remember they saw a horrible show at the XYZ Theatre – there’s a very real possibility they’d never go back. Rehearsals, workshops, and pre-show technical checks are all ways for the team to bond and make the performance space their home, at least for a bit. And as anyone who has been on stage can tell you, the “fourth wall” between the audience and performers is real. There is a tangible separation between the stage and the seats. Improv groups and other performers often break the fourth wall and permit direct interaction with the audience, but the distinction between performer and audience member remains. When the performers turn their attention from the audience and to the action on the stage, audience members understand they should return to the role of observors. Well-functioning business teams provide a similar environment for introverts to work in comfortably, but both improv groups and business teams can be dominated by individuals with forceful, extroverted personalities. The growing cultural emphasis on in-person teamwork and outward expression puts introverts at a severe disadvantage. In-person meetings and brainstorming sessions emphasize immediate participation, not the quiet reflection and careful communication introverts prefer. I’ll devote the next few posts to introverts and how we interact with the world, starting with a review of a book I hope you find the time to read.